Growing up, we often get the most important question determining our lives. The question, “What do you want to be when you grow up?”, was a no-brainer for Kirsten. “A story-teller!”, she would say immediately with much excitement. As a child, Kirsten would look forward to the days a story-teller would come to class with an electrifying new book. Little did she know, she would one day join the ranks of a new breed of story-tellers. 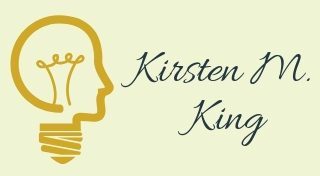 Early in her teen years, Kirsten’s mother owned a business in property management. The company needed local marketing done and her mom asked for help. Kirsten would help design eye-catching yard signs and place them in areas that would sure get the attention of on-lookers. This is where her professional marketing skills began. With the help of a few teachers in high school, Kirsten’s skills began developing even more. Miss Simich, her drama teacher, taught her most favorite skill, improv. This skill helped Kirsten learn to be quick on her feet with creativity and her use of words. Her broadcasting teacher, Mr. Chapple, taught her how to display her thoughts for the world to see. Kirsten learned how to write, produce, edit and film in this broadcasting class. Miss Gordon, Kirsten’s high school mentor, was the most inspirational of all. She taught Kirsten the basic concepts of marketing and marketing math. Miss Gordon also pushed Kirsten to take lead of the business organization, DECA. With her mentoring style, Kirsten was able to place second in the first-round regional Marketing Math competition. Unable to attend college after high school, Kirsten never gave up on her goals of education. In 2013, she enrolled at Atlanta Metropolitan State College to major in Business Administration. At the time, a shy and withdrawn Kirsten found her confidence while serving at a local restaurant. In addition to her classes at AMSC, she learned the joy of public speaking. Kirsten became ecstatic with the minor mention of a presentation in class. Coupled with her skills in improv, public speaking became a breeze. The class was her stage, and her peers were her audience. Kirsten spoke and moved with one goal in mind, remember this! Kirsten knew that an Associate’s in Business Administration was not enough to cover her career goals in marketing. In 2017, she enrolled at Georgia State University to pursue a Bachelor’s of Science in Marketing. This decision has helped her learn more about the field, it’s changing demands, how to turn data into words, and much more! Kirsten expects to graduate in the Summer of 2019. Currently, Kirsten does administrative work in healthcare and as a marketing intern at Signify Solutions. Her internship has taught her how to write blogs, create graphics, and organize data. She also takes on side projects helping small business owners launch their company, promotions, and ideas.